Size of the apt, comfortable beds, cleanliness, parking, location. We were met as soon as we arrived and shown around...Excellent location, walking distance to just about everything you could want. Beds were super comfy and the suite was well equipped. Checkin and check out were a breeze. 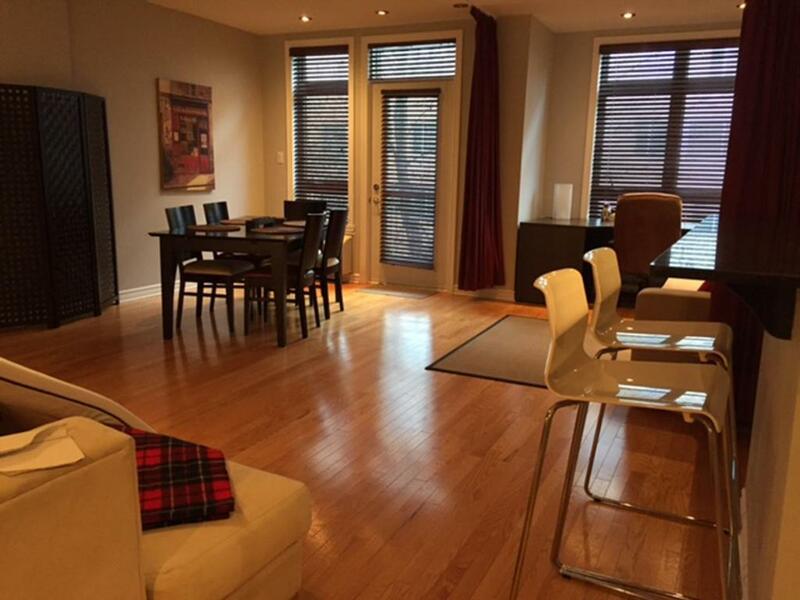 This is a beautiful apartment in a great location in Montreal. The apartment is spacious, the master bedroom bed very comfortable. Our son slept on the extra bed in large living room which was fine. The apartment had enough toilet paper, soap, laundry detergent, dishwashing detergent, etc...so we didn’t have to get any of that. ( very helpful) the kitchen is properly equipped if one wishes to cook. Our host Christina was very accommodating. She was able to let us book in earlier as our flight arrived early in the morning. When we checked out we were able to leave our luggage in storage until the evening as we had a late flight out. Thank you Christina for all your help! Very nice, clean and spacious apartment. The private terrace to have diner was fantastic! The location terrific. We didn't move our car, everything was at walking distance. Fabulous apartment. Very clean and well equipped. Good location. Parking under building was handy. Beds very comfortable. Enjoyed sitting on the roof terrace for a glass of wine. Home away from home. Very luxurious, nice balconies. Definitely recommendable. Everything else, great location very comfortable. Lock in a great price for Apart Hotel Montreal by Les Terrasses Saint Urbain - rated 9 by recent guests. ApartHotelMontreal is a self-catering accommodation located in Montréal, near the Plateau-Mont-Royal neighbourhood. Free Wi-Fi access is available. Fully furnished units include a full kitchen with dishwasher, kitchenware and linens. A flat-screen cable TV, local calls and laundry facilities are also available in each unit. 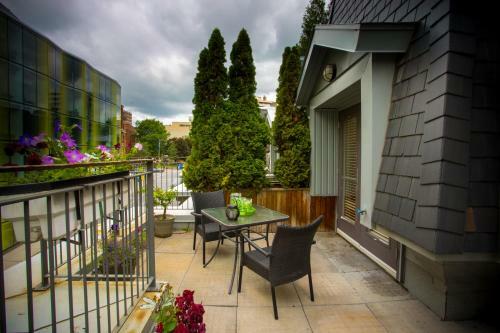 ApartHotelMontreal has a rooftop terrace equipped with a barbecue, outdoor furniture and plants. This terrace is open each year between the months of March and October. Place-des-Arts Metro Station and the Quartier des Spectacles (Entertainment District) are within 550 yards. Pierre Elliott Trudeau Airport is located 9.3 miles away. 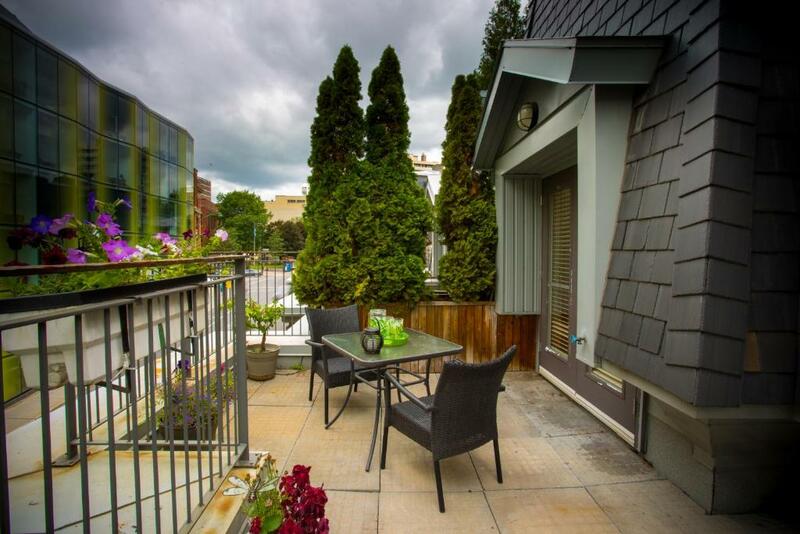 Apart Hotel Montreal by Les Terrasses Saint Urbain has been welcoming Booking.com guests since 17 Apr 2014. When would you like to stay at Apart Hotel Montreal by Les Terrasses Saint Urbain? This apartment has air conditioning and a barbecue. A work area with desk and sofa is also featured. Private parking is possible on site (reservation is needed) and costs CAD 25 per day. This apartment similar to a town house offers a private entrance from the street. This apartment, located on the top floor, features a four-poster bed and a large terrace offering a view of the city. This apartment features an open-space living and dining area, a flat-screen TV and free local calls. This apartment features free local and long distance calls. Guests have access to the communal rooftop terrace. 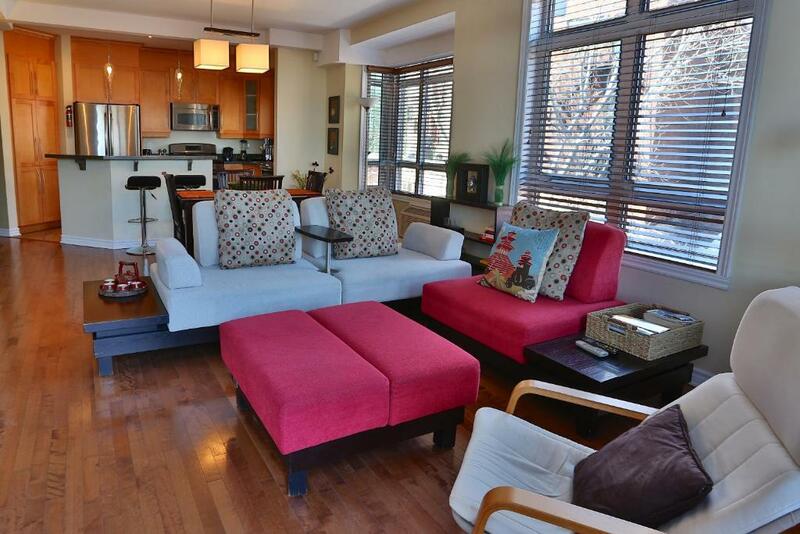 This apartment has air conditioning, laundry facilities, kitchen and seating area with a TV. This apartment features a barbecue, kitchen and a seating area with a TV. This apartment has a kitchen and a TV with DVD player. This apartment features a electric kettle, balcony and microwave. This apartment has a CD player, DVD player and patio. This apartment features a view, sofa and dining area. This apartment has a seating area, kitchen and CD player. A four story grey-stone building nestled away in the downtown core of bustling Montreal. Within steps one can find everything one could need. We have 15 suites available all under one roof, and we have roof top BBQ facilities. We have an elevator. Our garage is secure and we have on site security. Extraordinarily located near Place des Arts, McGill University, and all services, with private roof terraces, and more. Property Managers ANVAL Development inc. offers ...a unique Montreal Downtown Oasis. ApartHotelMontreal is located just off the main now known as boulevard St Laurent, we are steps from Quartier des Spectacles, where there are many festivals held all yyear around. Famous Schwartes Smoke meat is just up the road on Boulevard St Laurent, If you want a great steak, just go up to The Main, Lots of interesting night life in Old Montreal just about 1 mile south. And much more..
House rules Apart Hotel Montreal by Les Terrasses Saint Urbain takes special requests - add in the next step! A damage deposit of CAD300 is required upon arrival, which is about GBP172.46. This deposit is fully refundable 7 days after check-out as long as there has been no damage to the property. Apart Hotel Montreal by Les Terrasses Saint Urbain accepts these cards and reserves the right to temporarily hold an amount prior to arrival. Please note that the property is a secure building with no reception. It is not possible to arrive before 15:00 unless a prior arrangement has been made with the property. Please note, a separate deposit will be required upon reservation for bookings of 5 nights or more. Please inform Apart Hotel Montreal by Les Terrasses Saint Urbain in advance of your expected arrival time. You can use the Special Requests box when booking, or contact the property directly with the contact details provided in your confirmation. A damage deposit of CAD 300 is required on arrival. That's about 172.46GBP. You should be reimbursed within 7 days of check-out. Our original booking (Like a hotel apartments) went bankrupt, so booking.com suggested this as an alternative, and it ended up being more expensive as we were also charged an extra $75 for cleaning costs when we arrived. Perfect set up for multiple day stay in Montreal. Only disappointment was we were certain the apt we booked had two bathrooms & it did not. A little awkward as we were travelling with friends we recently met. Floors were dirty and something sticky was all over it. I am sure floors were not cleaned which is not ok since they charge 75$ cleaning fee. I stayed in apartment 401 and couple springs on the sofa bed are missing so your legs sink down and it is very uncomfortable. Considering the price I don’t think i would stay here again. Our only complaint would be the street noise from cars when the windows were open. Not enough natural light in the apartment. The back room is very quiet but the front room gets all the noise from the street (party crowds and traffic). Would be nice to have basic stuff in the kitchen like salt, pepper, Sugar and dish towels. 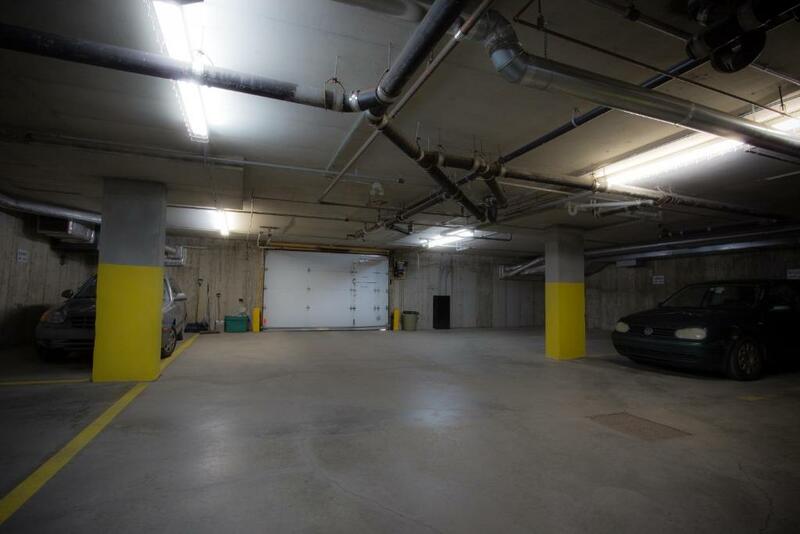 Location was very good, walking distance to downtown and good restaurants. Apartment is confortable and cozy. The air conditioning in one of the bedrooms was not working well. Ana, the host, was so accommodating and helpful. The apartment was clean and it had close proximity to all that we wanted to see. 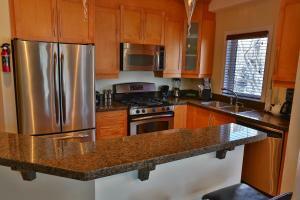 Great location, spacious for a rental apartment, comfortable beds, great kitchen/eating area. We enjoyed the porch! It would be great if the apartment had shampoo and conditioner.